These core values are embraced in all NCAA sports. When student-athletes leave home for the first time and enter the collegiate world their teammates and coaches become family – a home away from home. 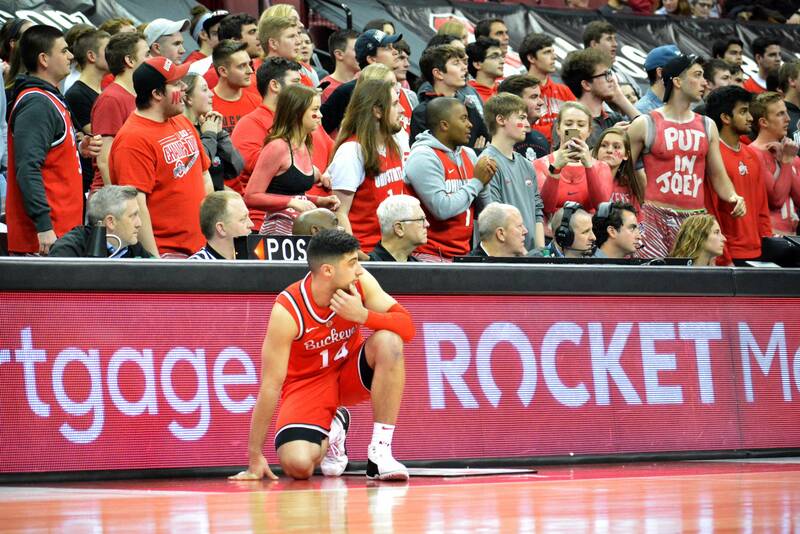 It’s a profound connection that student-athletes rely on to navigate the balance of academics, sports, wellness and social life. 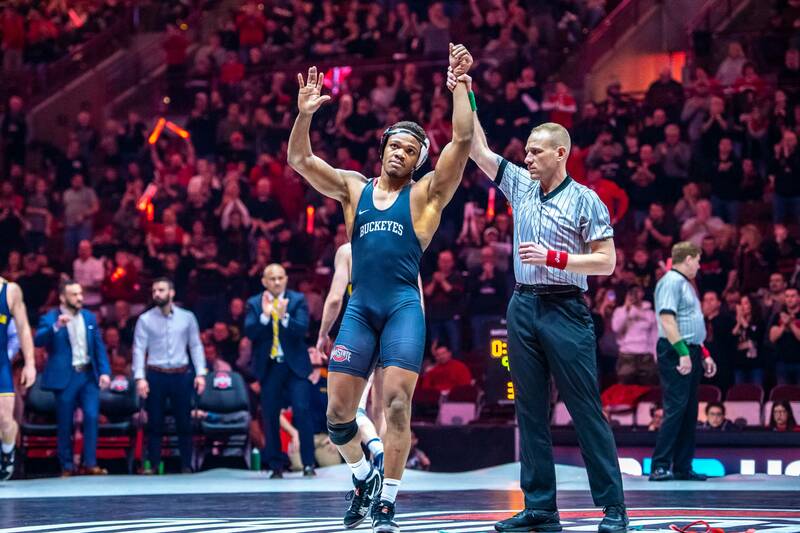 In some rare cases, however, a student-athlete’s actual sibling is also competing in the NCAA provides a direct family link and ally in their sport. In the rarest of instances: Take three siblings competing in the same sport, in the same conference, at the same time. Enter the Tyndall brothers – Jesse, Mitch and Wyatt. 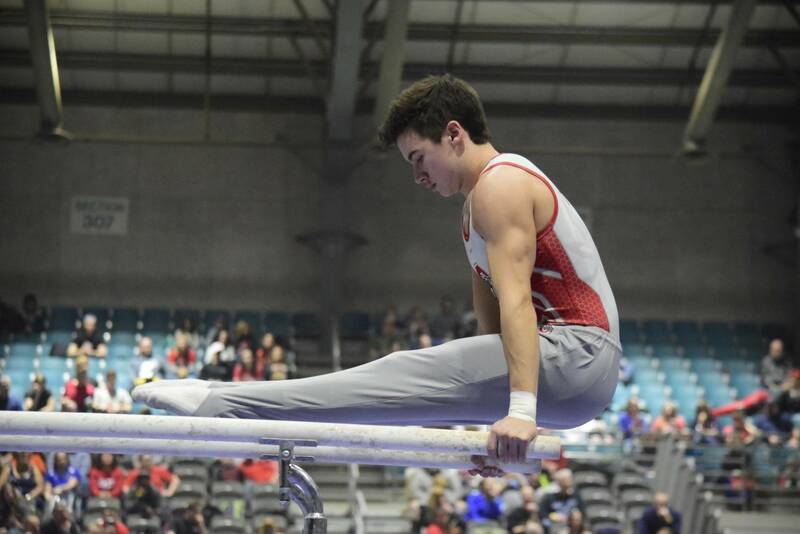 The Canadian born trio reigns from Saskatoon, Saskatchewan and all three brought their talents to Big Ten men’s gymnastics. 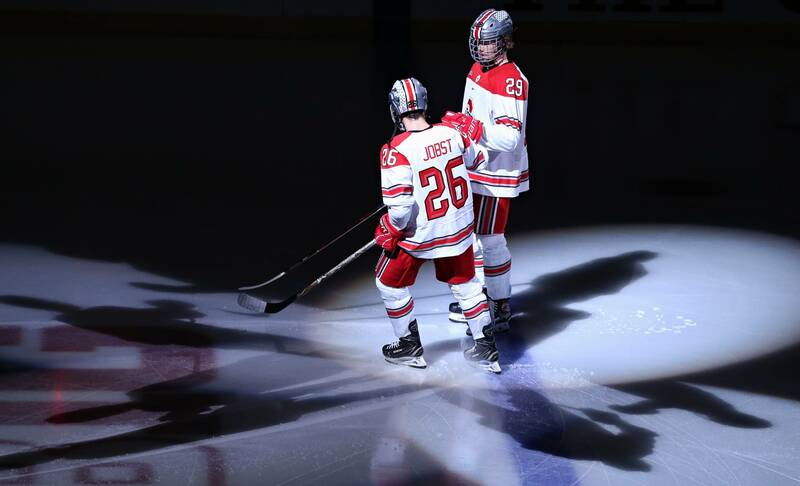 Jesse is a freshman at Ohio State, Mitch a red shirt freshman at Nebraska and Wyatt a senior at Penn State. 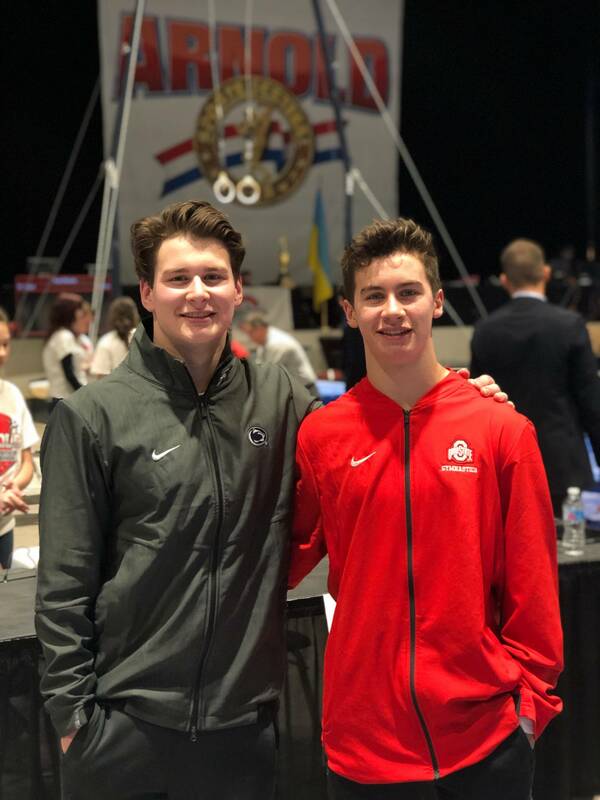 The three grew up playing sports together and this season they had the chance to face off brother vs. brother representing their collective B1G squads, but Ohio State, Penn State and Nebraska didn’t have a tri-meet. 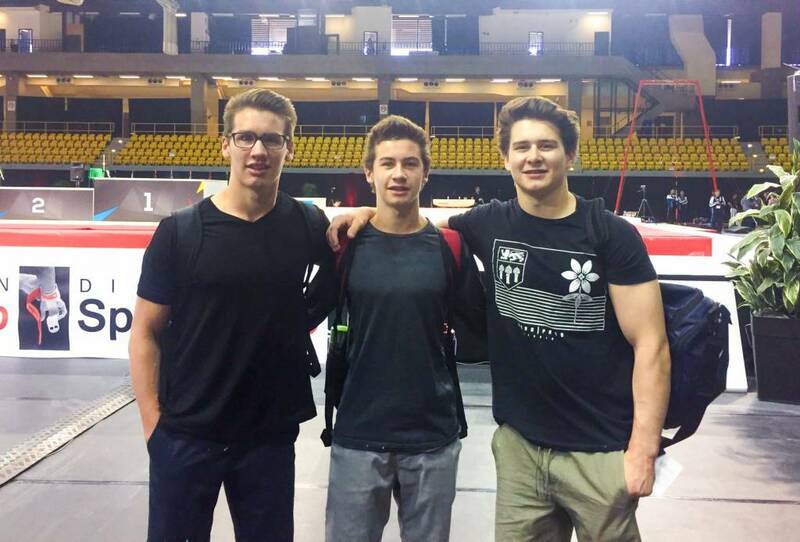 In fact, because of their age difference all three Tyndall brothers have never all competed against each other in a gymnastics meet. 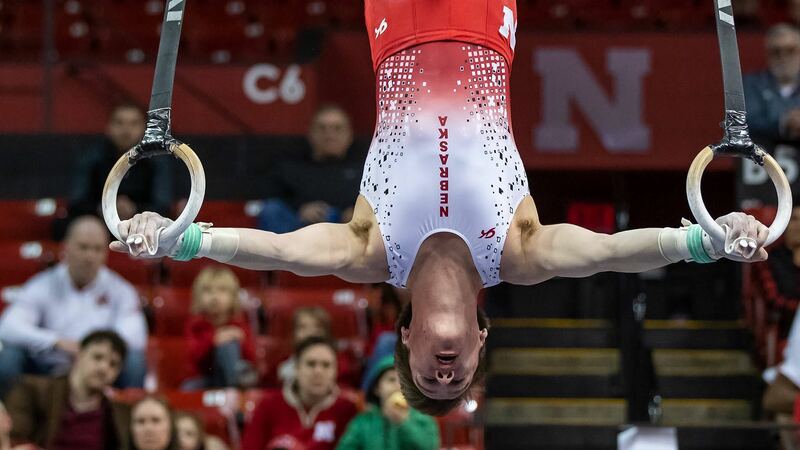 That all changes Friday when Jesse, Mitch and Wyatt step onto the stage at the 2019 Big Ten Championships. We don’t want to lose to each other, but we’re always happy to see the other one do well,” Wyatt said. “I’m really happy it worked out and we’re all pumped to be here now. Sports were a huge part of the Tyndall’s childhood. You wouldn’t catch them with a video game controller in their hands, but a baseball, hockey stick or gymnastics rings? Now that’s more like it. 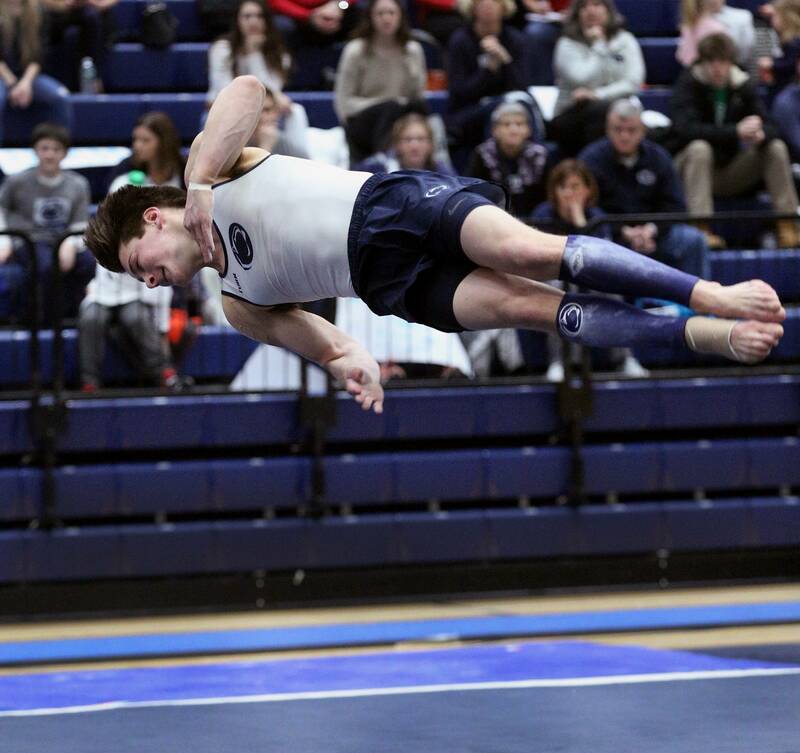 When the time came to narrow their focus down to one sport, the decision came naturally. 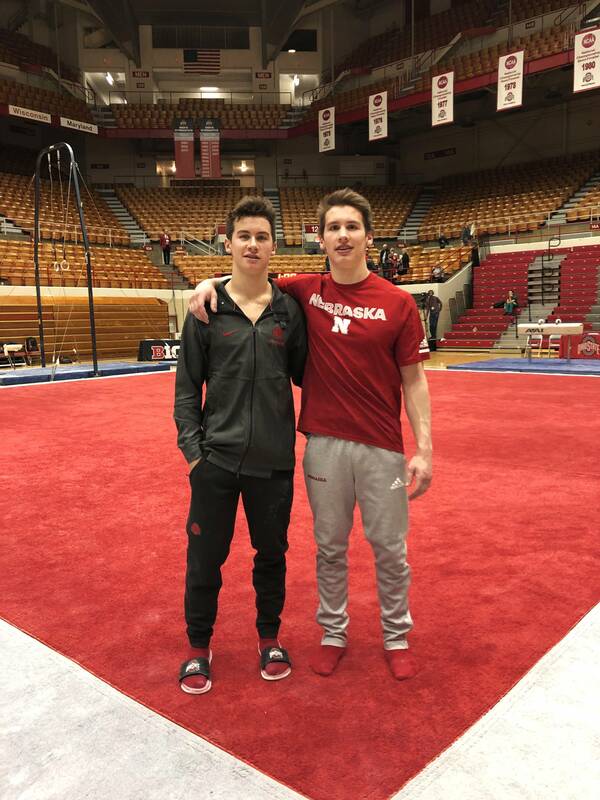 Their oldest brother taking the leap into NCAA gymnastics was the catalyst for Jesse and Mitch to follow in Wyatt’s footsteps. Seeing his success motivated them to step out of their comfort zones. Although all three live in different states they always have heavily relied on their brotherhood. It’s cool how we all chose the same path,” Mitch said. “All of us going down to the states and to all different schools was awesome. Once we all got down here it has been phenomenal. During competition season, it’s scarce for the entire Tyndall family to be together and that’s what makes the Big Ten Championships so meaningful. It’s a brotherly rivalry, a family reunion and a chance at a conference title all wrapped into one.